Setting up of handful of wifi router/modem in the way it was intended(AP, modem/router, Wifi Bridge, Wifi client, WDS(Wireless Distribution System)) for, wasn't much of deal. But the various jargon and standards for 'knowledge sake' became unendingly elaborate process(Done nicely by dd-wrt). So logging what have been conceived of what have been assimilated with the block diagrammatic representation of what each stands for(image helps in visualizing than words at times) so that, these can be referred to in case the infamous forgetful syndrome. 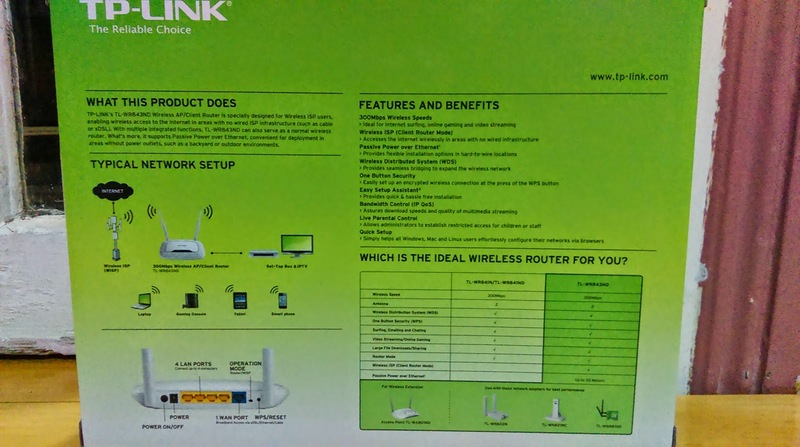 It is useful to utilize only the Wifi Access point feature of the wireless router. Different wifi router/ router/modems have their own set of web interface to configure the wifi router as only an access point. The wifi router who's function is to NAT route along with that other added features like DHCP, PPPoE need not be utilized or need to be underutilized by just enabling the wifi Access point. Before setting up the wifi router as access point, know the existing network in your premises, this will make it easier to configure the router. But there are other non-variable factors that can be taken into consideration at the time of configuring. Determine the IP address of your LAN, mostly it will be in the range 192.168.A.B. In GNU/Linux the info can be obtained by using ifconfig, netstat -nr or route -n or ip route show which will display the PC's ipaddress as well as the gateway. 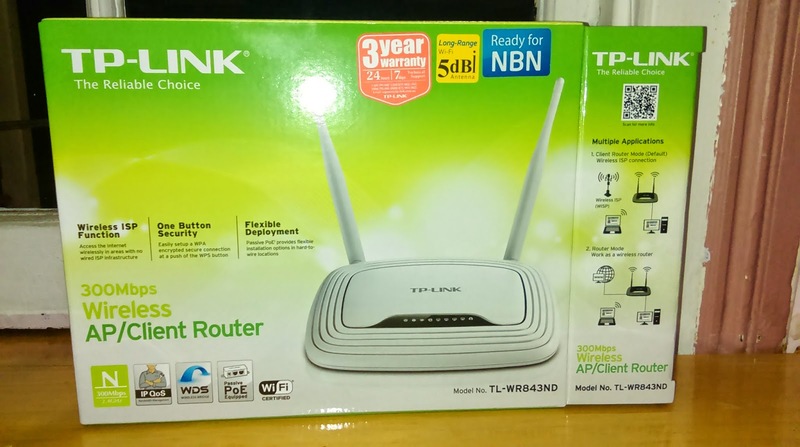 TP-Link TL-WR843ND Specific Connect the eth cable to the LAN port(Not to the WAN Port), accessed the webinterface, disabled the DHCP, NAT features. 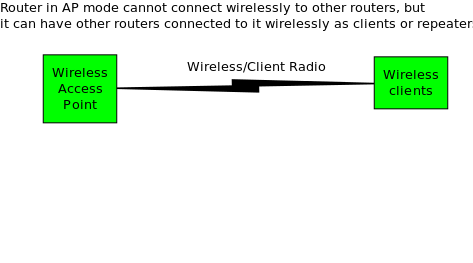 Enabled the WiFi so that it acts only as a broadcast beacon. Gave a static IP to the router interface. Enabled the MAC in the Pass thru MAC in the captive portal.